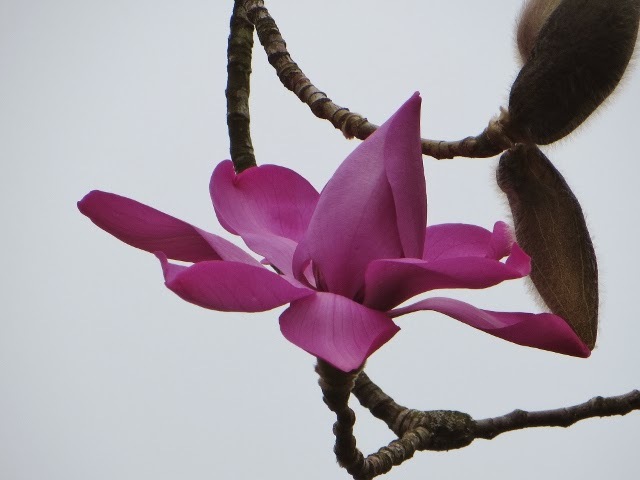 The recent sun and warmth has brought the magnolias into flower. 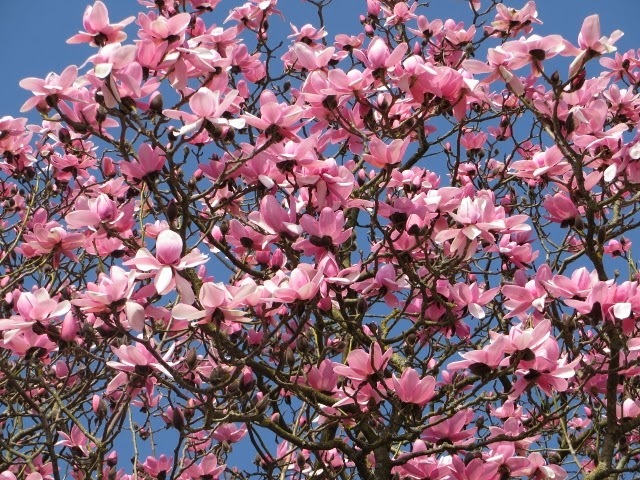 A huge Magnolia campbellii, at High Beeches, viewed best from the B2110 outside Handcross, West Sussex. covered in flower. This tree is a survivor of the storm of l987. 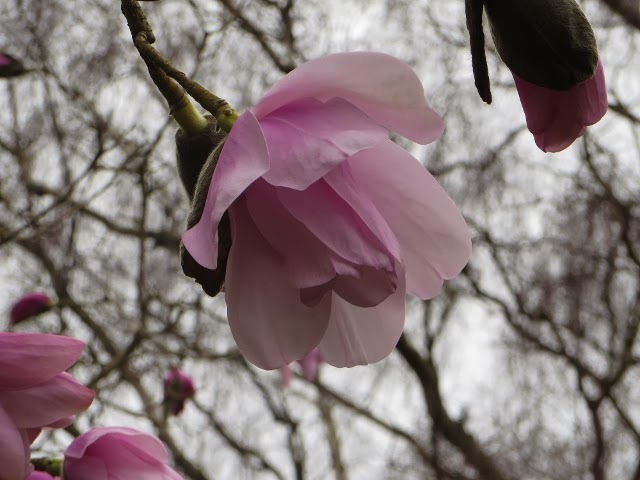 The tree was blown down, it was left on its side and now flowers every year on the new growth and is a spectacular sight even though it is no longer a beautiful tree.